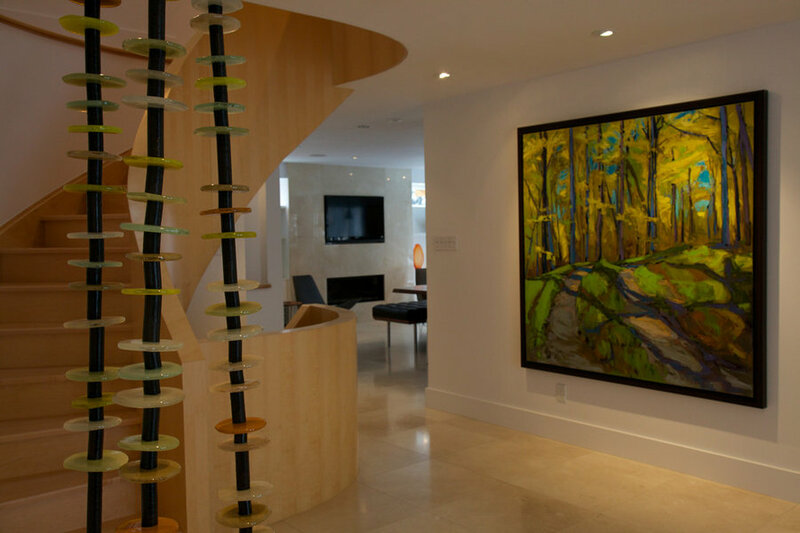 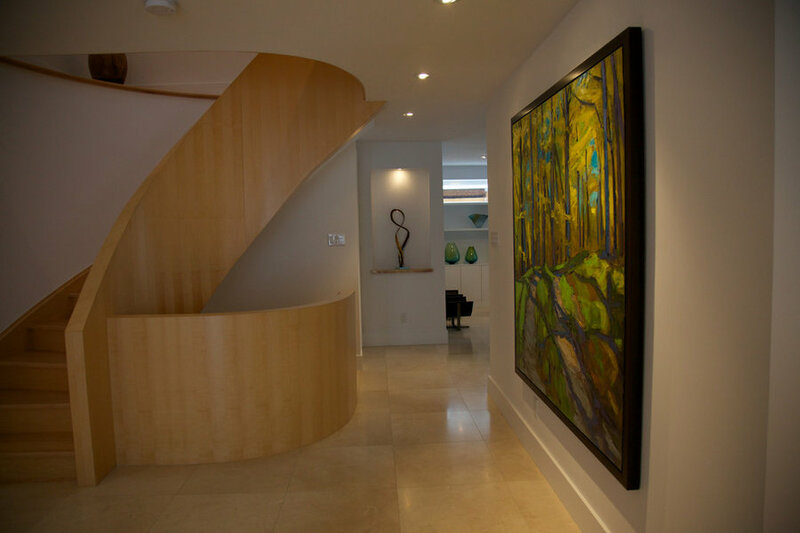 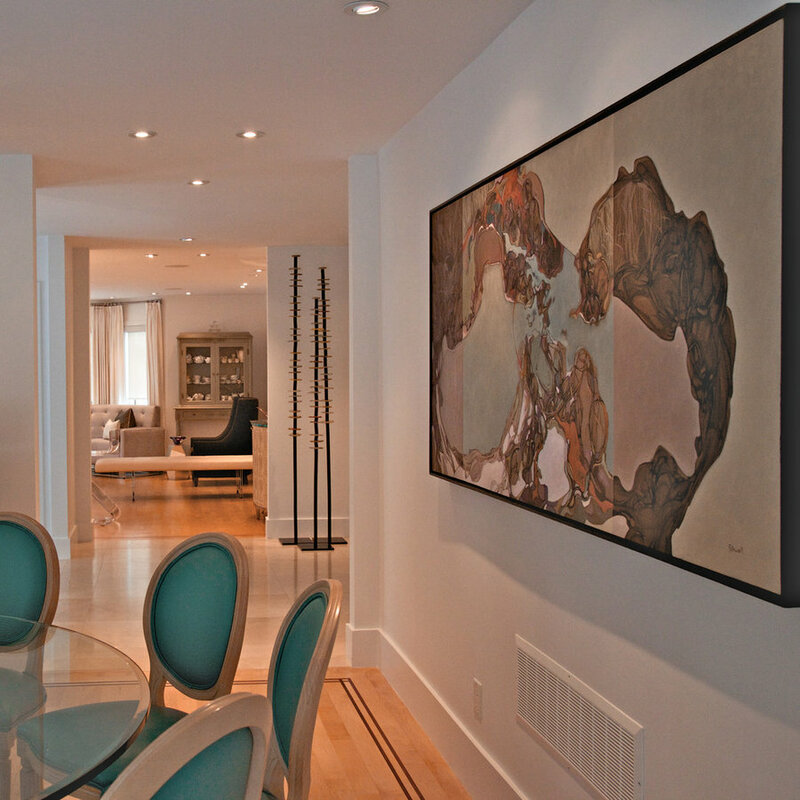 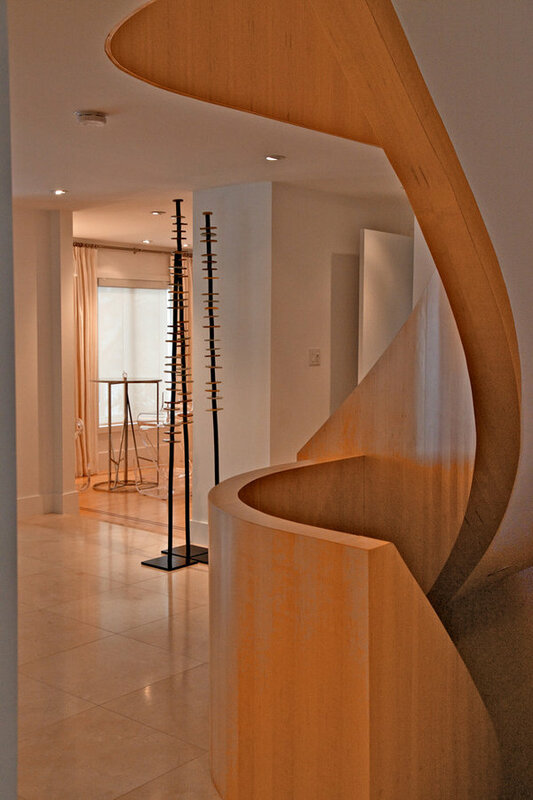 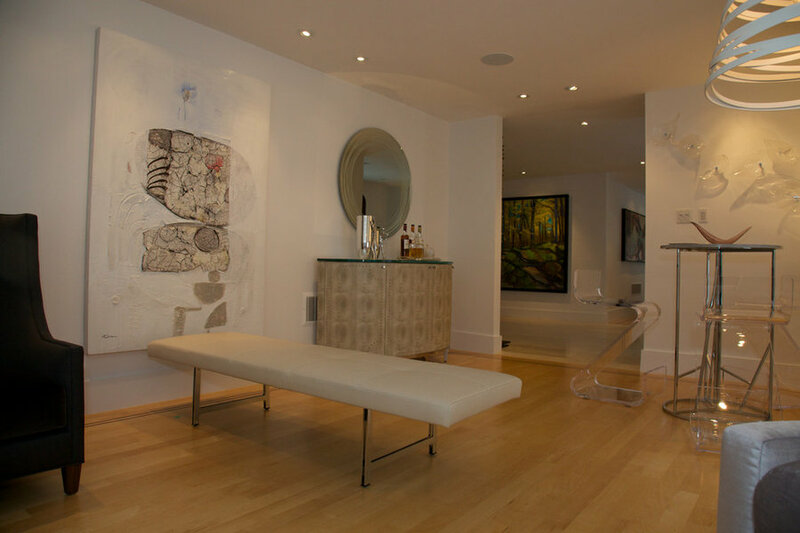 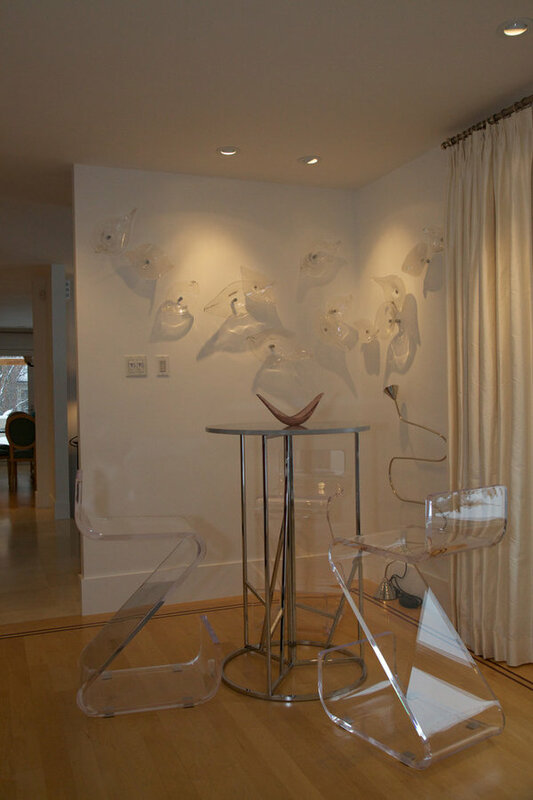 This home is a spectacular gallery type setting for a stunning private contemporary art collection. 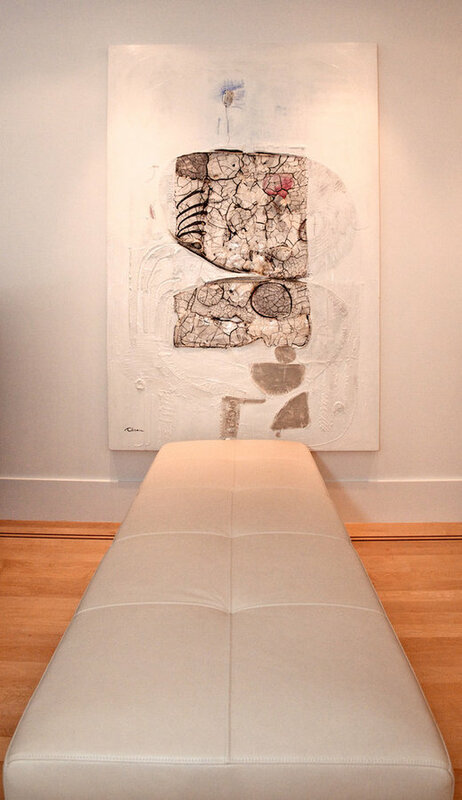 This is what can happen when design and art are considered together. 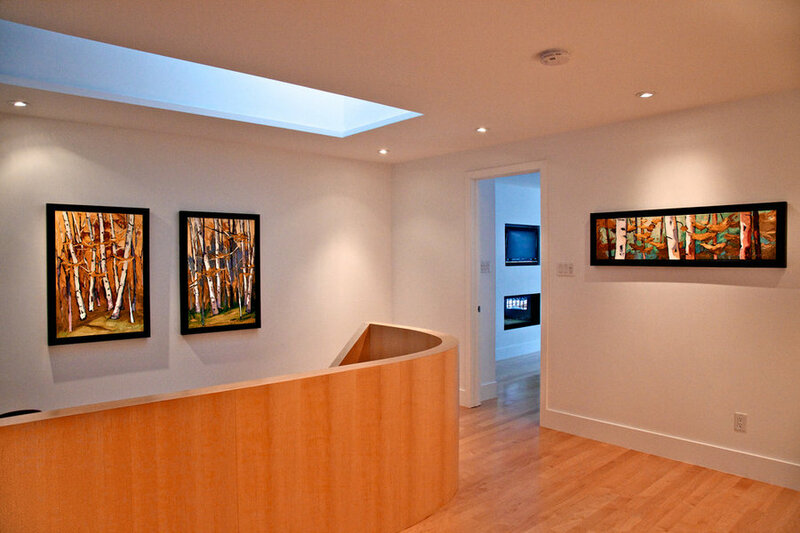 Proper lighting, powerful vistas, cohesive results. 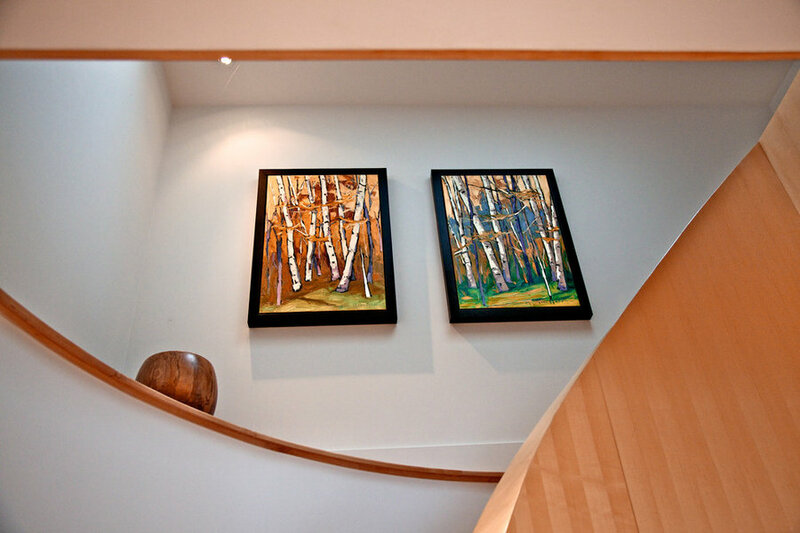 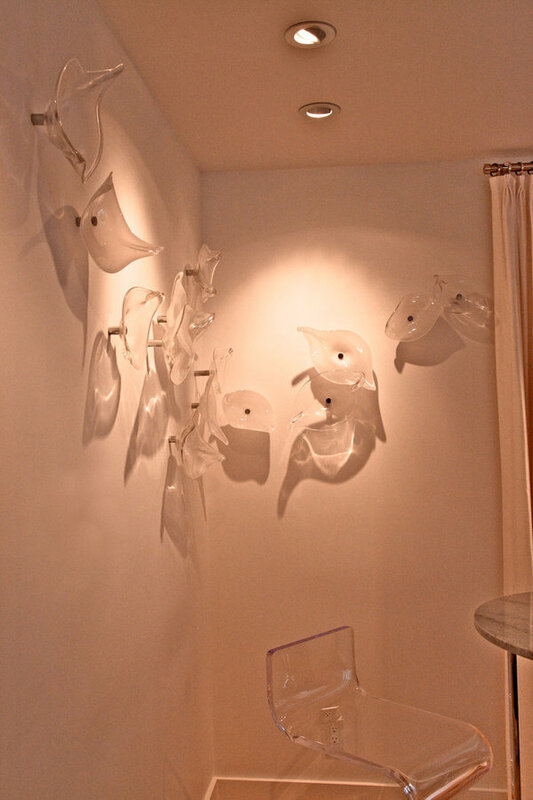 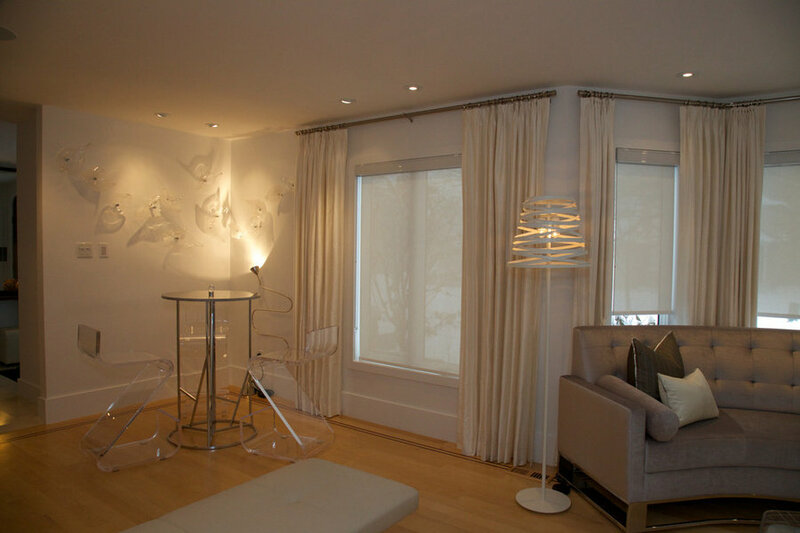 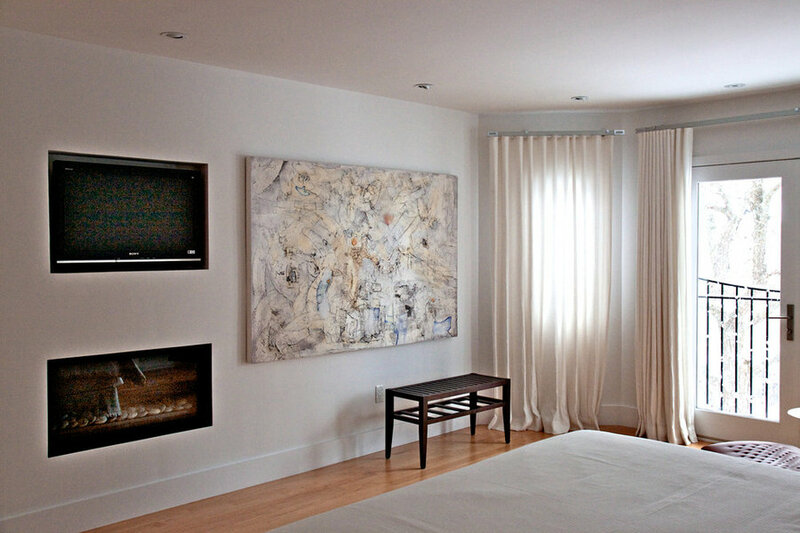 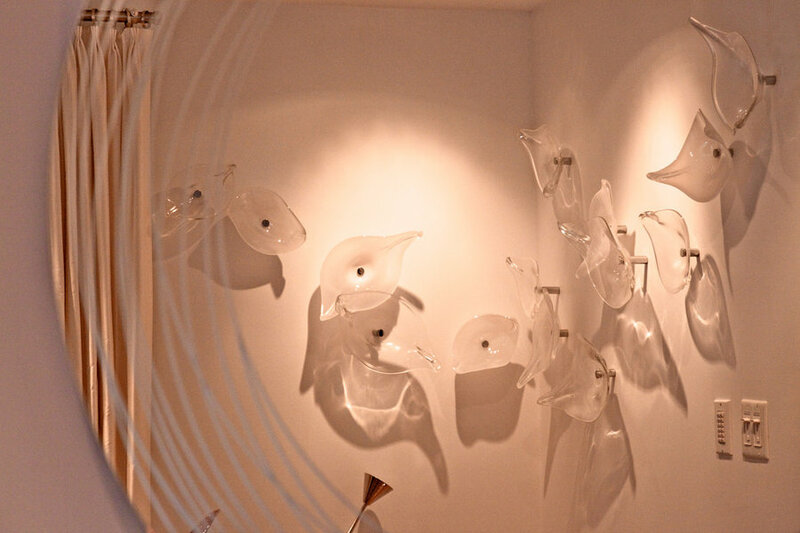 The right artwork, paired with the perfect design and lighting make for a stunning home! 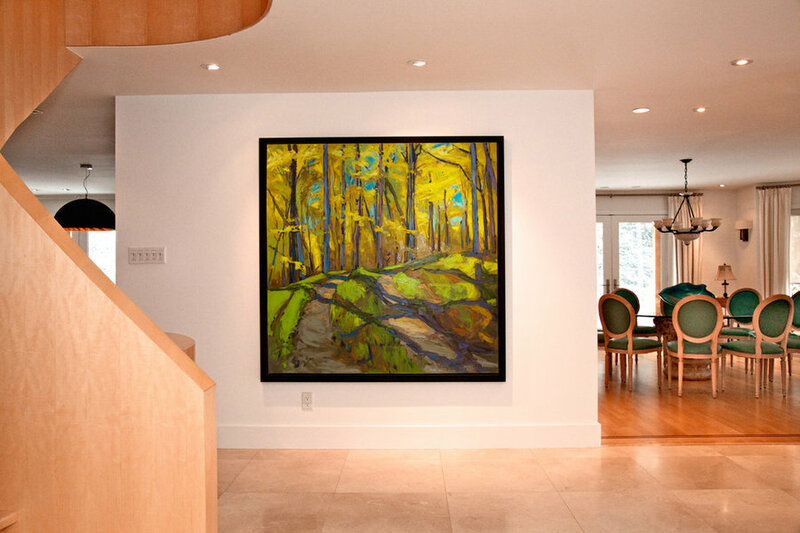 Works are carefully selected to achieve impact, engaging vistas and points of visual interest.